Searching for things to do in Santa Monica? 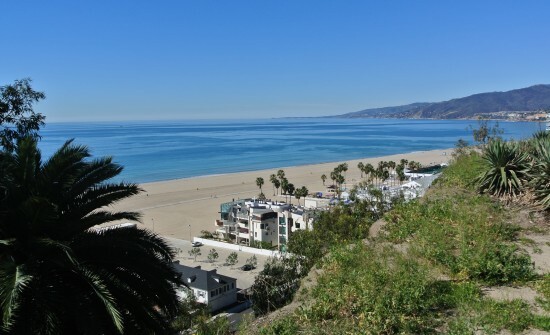 Come join us as we wander through beautiful Palisades Park, located walking distance from downtown Santa Monica. Modeled after the great strolling parks of Europe, the park overlooks sweeping vistas of the Pacific, north to the Malibu mountains, south to the Santa Monica Pier with its picturesque Ferris Wheel against the distant Palos Verdes hills. The park has its own formal rose garden, sprinkled amongst the palm trees, there are sculptures both traditional and modern, and a variety of native plants, and gnarled pines. After our walk we meet for a watercolor workshop and painting time, then we gather for an outdoor picnic lunch under the palms.